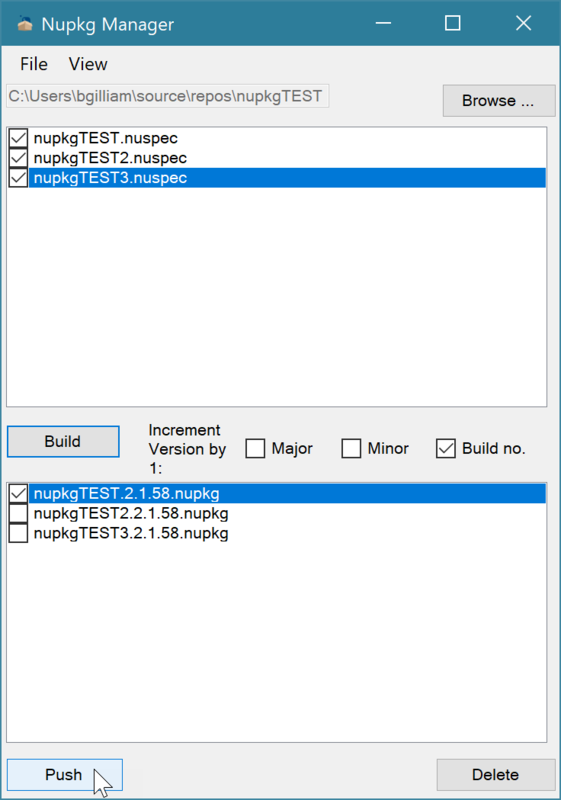 Easily build and push NuGet packages to nuget.org or custom repositories within Visual Studio. This extension allows any developer to easily build new/updated versions of their NuGet packages and push them to nuget.org or any other custom repository. Fixed build error by recognizing AssemblyVersion and AssemblyFileVersion if AssemblyInformationalVersion not present. Beta assembly versions (eg: AssemblyVersion("2.2.1beta3")) no longer crash extension. Fixed packages being deleted before they are pushed to server. FolderBrowserDialog root folder is now MyComputer. 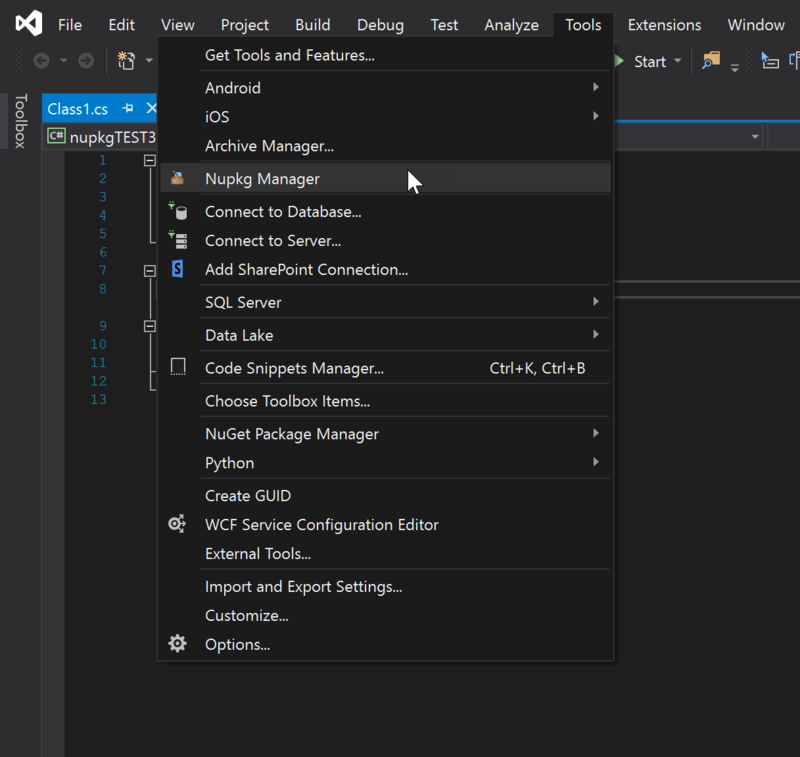 Added support for Visual Studio 2019.